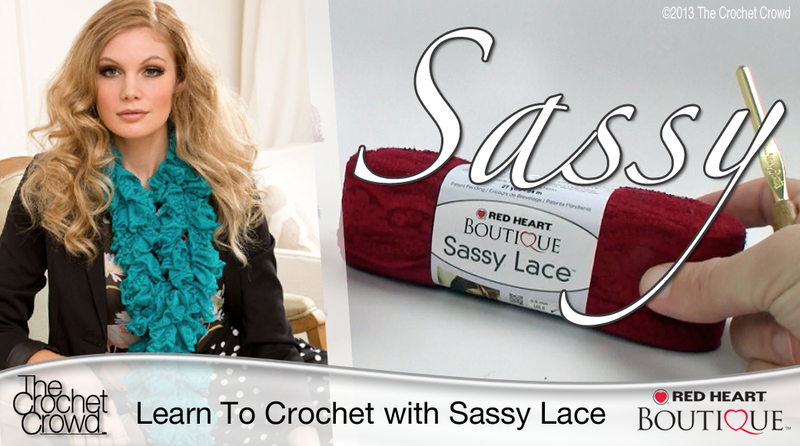 Sassy Lace by Red Heart is a brand new product as of 2013. It is a lace material that is rolled flat with holes along the edge to be able to crochet or knit into. In the tutorial below, Mikey is demonstrating how to Crochet using the Sassy Lace. You may find yourself addicted to this concept as it’s really simple and fun. A full size scarf can be done in about 45 minutes – 1 hour. Makes for a great gift too! This entry was posted in Scarves, Tutorial Videos and tagged Arts, Craft, Crochet, crochet crowd, How to Crochet, Lace, Learn, Mikey, North Carolina, Red Heart, Sassy Lace, Tutorial, United States. Bookmark the permalink.